When Valkyria Chronicles released for PlayStation 3 in 2008, Sega managed to impress players with its unique blend of real-time action and turn-based gameplay. This innovation wasn’t without some issues, but it was clearly a base that could’ve been improved upon in future titles. Since then the series has received handheld and mobile sequels, but never a console iteration that truly built upon the original’s success. 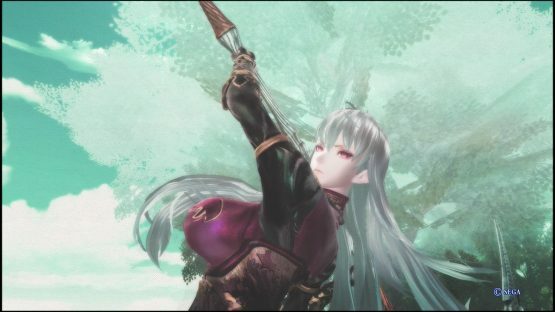 That’s still the case as the latest entry in the series, a spin-off called Valkyria Revolution, focuses more on action than strategy. If players come into Revolution expecting the same gameplay as Valkyria Chronicles, then they’ll likely be immediately put off by what they see. Turn-based combat is completely a thing of the past here, as the action only pauses when the player is casting magic or using an item. It’s also a much more up-close affair, as running up to enemies and slicing them with the main character’s sword is just as effective as trying to play tactically. 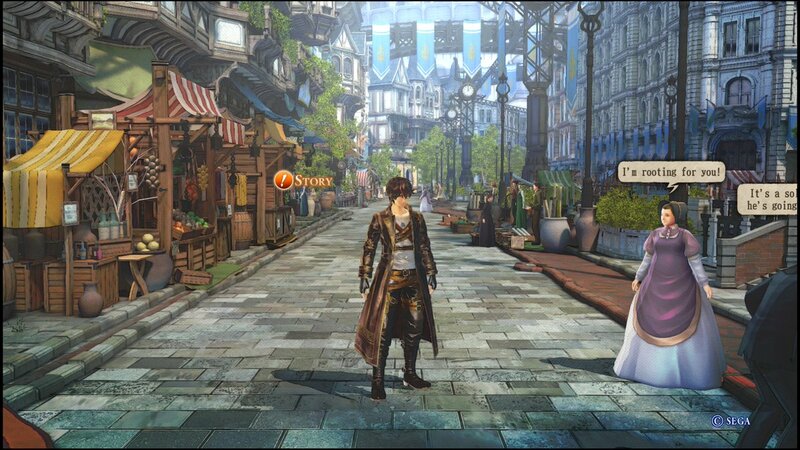 Overall, Revolution is fundamentally a different game from its predecessors. There are some tactical elements that carry over to the action, as the player can freely switch to any four members of its crew and issue commands, but it rarely feels necessary. I quickly found out that there’s little reward for engaging with these systems, as a Rambo-style approach of acting first and dealing with the consequences seemed to work against everything besides boss encounters. I was never worried about dying against regular enemies, and it makes the majority of the skirmishes I got into feel rather meaningless. I was simply going through the motions of beating up foes, and occasionally using grenades when I saw a large group. It felt strange to put my brain on auto-pilot during a Valkyria game, but it was still entertaining when I wasn’t battling with the game’s wonky lock-on camera. Glimpses of greatness can be seen during Valkyria Revolution, but these are relegated to the game’s boss fights. These lengthy battles are either against powerful foes, like the titular Valkyria, or physically imposing tanks that dwarf the player. These bosses can simply be brute forced if the player wishes, although it’ll draw out the battle considerably, but I found it to be one of the few areas where I felt rewarded for using strategy. The most memorable battle I had was against a bipedal tank so dangerous that it would even impress Solid Snake. By targeting its different areas, I could disable some of its most dangerous attacks, including a one-hit kill attack that I ended up taking 10 minutes into a battle. After defeating this giant foe on my second try, it felt like the only time that I had actually accomplished something inside the game. It’s a shame that this level of tactics is rarely necessary, as I had a lot of fun when the game forced me to think. Beyond a lengthy story that’ll last players 25+ hours, there are also side-missions that players can jump into. These fall into a couple different categories, such as defending an area or doing reconnaissance, and I was pretty impressed by the variety of the action. These battles become less optional as the game goes on, as the recommended level of missions jump nearly 15 levels by the end, so it’s a good thing that they are fun to go through. Beyond fighting, there’s also a town to explore, and many shops to visit, although the world largely feels lifeless and there isn’t much to be gained by talking to its citizens. The most interesting aspect of Valkyria Revolution is not its action, but rather its story. Revolving around a group of five orphans, the game’s story repeatedly questions whether noble accomplishments are tainted by impure motives, and is framed as a historian discovers the untold history of the country’s most reviled traitors. These themes aren’t quite as impactful as the ones seeen in Chronicles, nor are they handled as gracefully as that game handled racism, but it did enough to keep my attention the entire time. Review code for Valkyria Revolution provided by the publisher. Reviewed on PS4 Pro. For more information on scoring, please read our Review Policy here.